Puppies are the cutest things ever! Their soft fur and cute round eyes just endears them to both kids and adults. That’s why we just love to have them around. However, there are times when puppies get sick and we don’t know why. One of these times is when puppies throw up. So why does a puppy throw up? There could be several reasons, but the most likely is that your pet just ate too fast and drank water too much either before or after playing. Puppy food expands when mixed with liquids. When a puppy gulps the food and then drank water, the food will surely cause bloating in the stomach. As a response, the puppy will try to relieve the pressure and tension from the expanded stomach by throwing up the excess food. Experts and experience pet owners have suggested feeding your puppy 4 to 5 small meals a day. This will give it time to digest their food throughout the day. Place dry puppy food in the dog’s food bowl, and then moisten it with water before feeding it to your puppy. 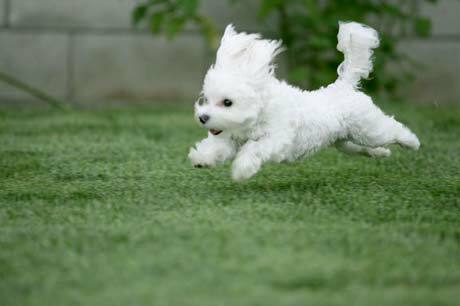 Your puppy should also drink only small amounts of water, especially after exercising or playing. To stop your pet from lapping up large amounts, use a shallow water bowl. Aside from regulating their water intake, as a responsible pet owner, you should also encourage your pup to rest after meals. If your puppy keeps regurgitating its food, it might be for a different reason. A dog’s stomach lining needs to be shed once in a while. When it’s time to get the skin out, a puppy will try to heave it out of its system. They will either throw it up on their own, or they will need a catalyst to vomit. This catalyst is often grass or their fur. You might have observed your puppy eating bits of grass and then rolling on the ground. This will cause some dogs to throw up. Another way for them to vomit is to lick the fur they’re shedding regularly and then heave the fur ball out of their stomachs. 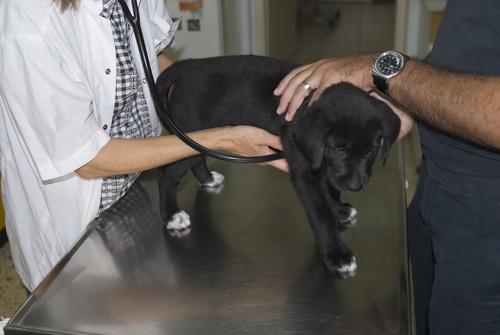 When your puppy is still vomiting, and at the same time, have other symptoms, such as diarrhea and weakening, then it’s time to take your beloved puppy to the vet. Your pet may have GDV, or gastric dilatation and volvulus syndrome. According to the Animal Health Channel, gastric dilatation and volvulus syndrome (GDV) occurs in dogs when the stomach dilates and twists into an abnormal position, causing nonproductive retching, a bloated abdomen, and other symptoms. GDV is a serious, life-threatening condition that requires emergency treatment. Without prompt medical attention, dogs with bloat can die very quickly; about 30% of dogs that suffer bloat die from it.